Ishinomaki Laboratory was first established as a community workshop for the residents of Ishinomaki, Miyagi to rebuild their livelihoods after the Great East Japan Earthquake in 2011. With the support of designers and architects from Japan and abroad, in addition to established furniture brands, Ishinomaki Laboratory has now grown to become the world’s first “DIY maker” – driven by the belief that DIY and design have the power to empower individuals and communities. Embodying the spirit of self-reliance, the locally-run furniture label continues to spread their simply designed furniture to the world, which is based on the philosophy of using only dimensional lumber and basic tools. This exhibition will show chronologically over 60 pieces of products created by Ishinomaki Laboratory since 2011, accompanied with texts based on interviews conducted with the people behind the brand. Throughout its six-year journey as a project for regional and community revitalization, we are constantly encouraged to consider the question “what is design?” as well as realize the importance of DIY (do-it-yourself) in living through tumultuous times. 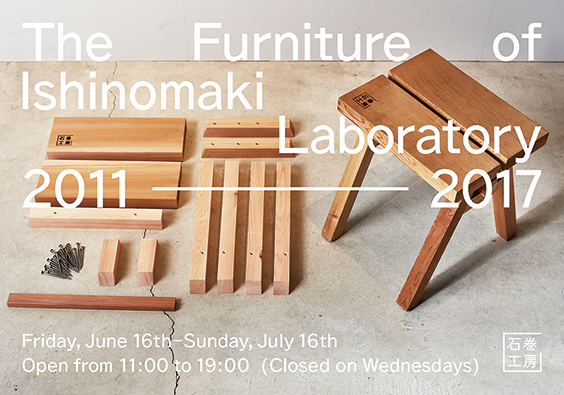 *This exhibition is an adaptation of the “Do It Yourself – Furniture from Ishinomaki Laboratory 2011-2017” exhibition first held at the Manabia Terrace in Higashine, Yamagata. 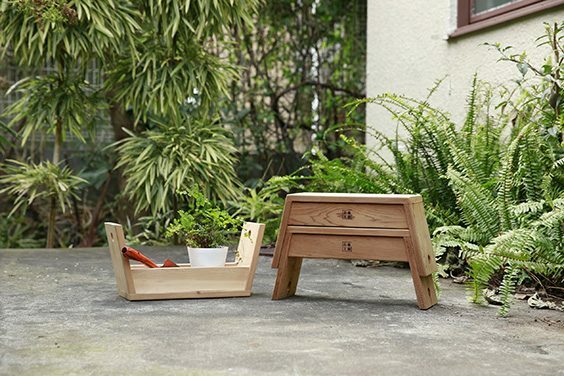 For those interested, please send an e-mail to “info@designkoishikawa.com” with “Carry Stool Workshop” in the subject title, as well as your name, desired workshop time, number of participants, and contact information in your message.